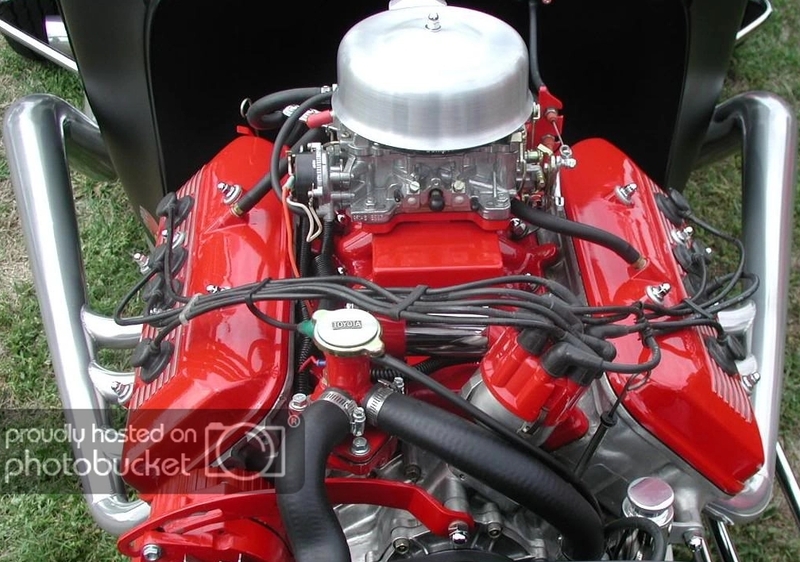 Did you know Toyota built a hemi V8? The "V" engine designation began in the 1960s, and ended in the 1990s. It began as a 2.6 liter V8, and in its last iteration it was 4.0 liters. 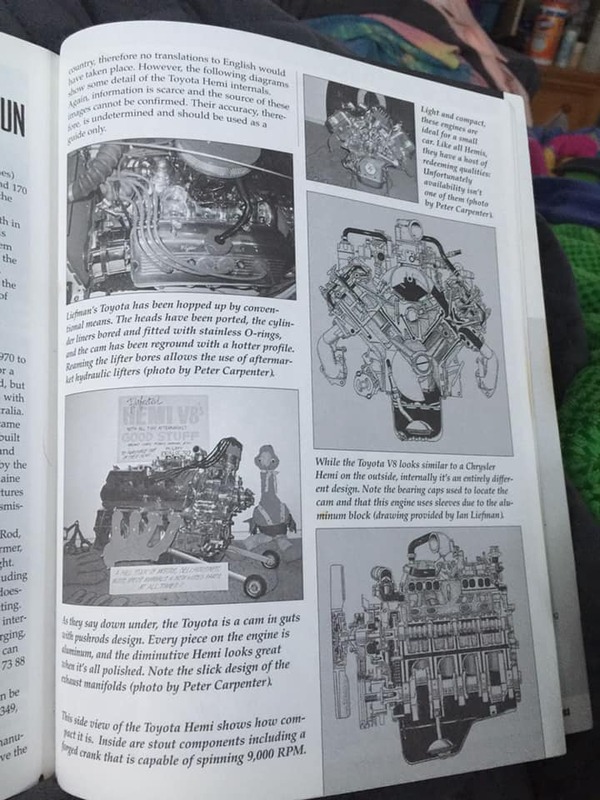 Wiki is a bit confusing - in one place it states the V engine was superseded by the UZ, yet in another it says it was superseded by the GZ 12 cylinder. The later would be correct. While the UZ engine line is the next V8 after the V, the UZ was used in different applications then the V was, the GZ replaced the V in the only car to use either - the Toyota Century. 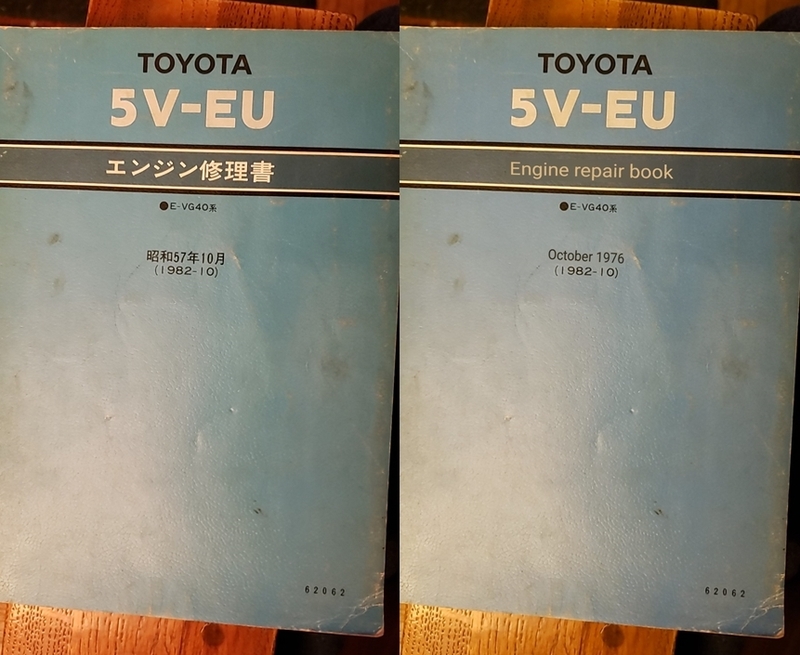 Robert did help me with 2 other significant purchases... 1 - an original starter for this engine, and 2 - a 5V-EU factory service manual!! I expect the engine to arrive sometime late spring, or early summer. So, for those who only know me as "oldeskewltoy"... I'm 60 this year, and so my car life goes back to the mid 1970s.... so I've had my share of V8 powered muscle/pony cars: Shelby GT350-H, GT500, GTO Ram Air III, and my last one(1990-1994) was a 1970 Mach1 Mustang powered by a 428SCJ. A few of my friends from back then(70s) had cars like an L-88 Corvette, and a Hemi GTX. 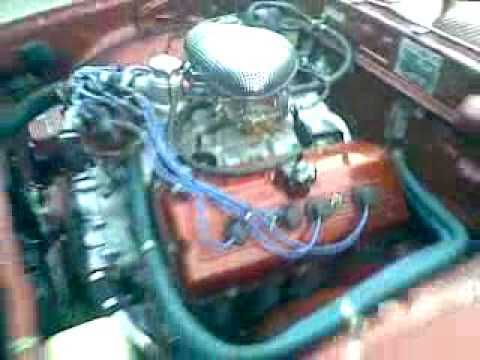 So, while I may be recognized here as a 4AGE specialist, my past has many V8 builds. 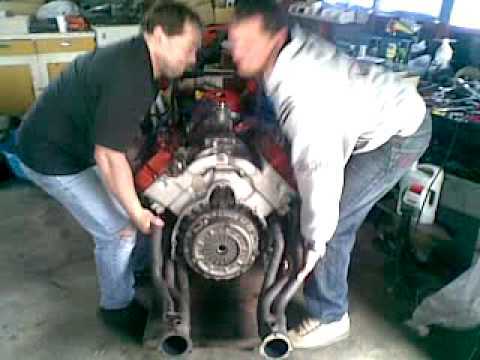 The problem with all the American V8s from that era are their mass, the 428SCJ and large spline Toploader transmission for my Mach 1 weighed in around 800#s!!! 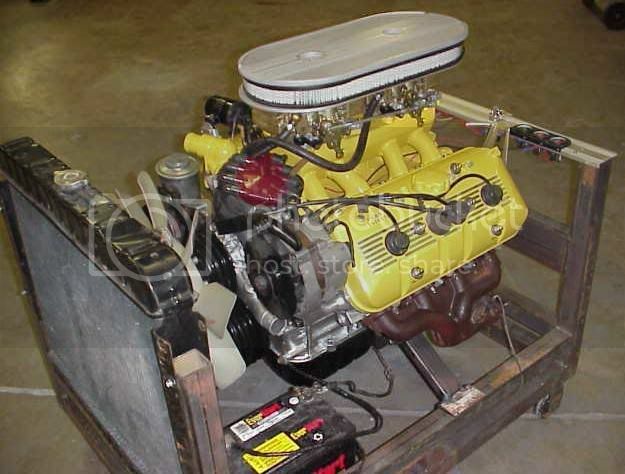 The 426 Hemi engine by itself weighed over 750#s!! Oh man! Been a long time since I saw one of those. 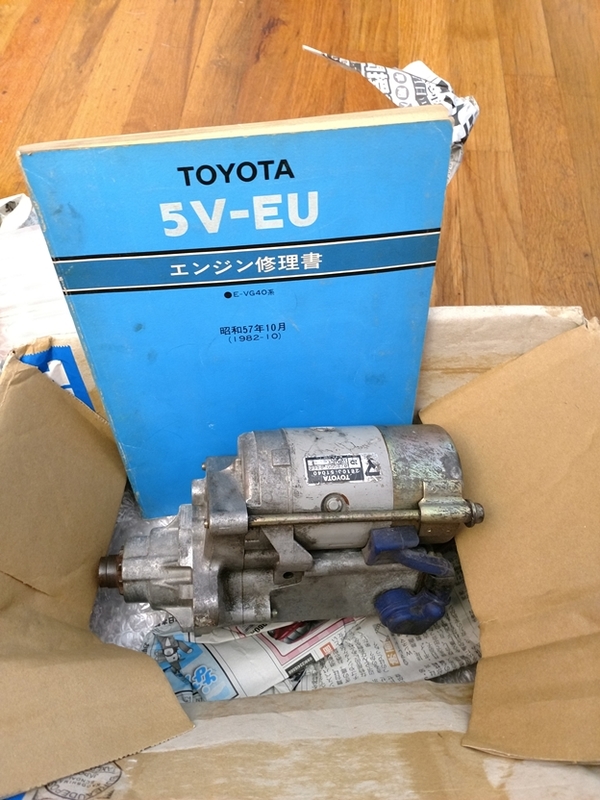 I had a small collection of Toyota engines that I thought were cool a while back. I had one of those engines sitting in line with a bunch of other rare engines. Here are a few of the other engines I scooped up an 18RB(see if you can find that one), It was an 18R with twin 1bbl solex carbs. Along with that was a line up including a 3M from a 2000GT, 18RG E and U, 2TG, 3TGTEU, 4TGTEU( the 3 and 4 T engines were turbo and fuel injected with 2 spark plugs per cylinder). 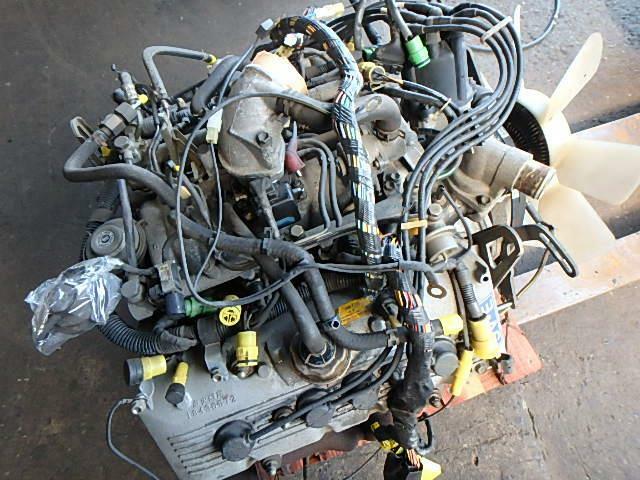 A little .8l opposed, air cooled 2 banger 'U' series engine I took out of a wrecked Sports 800 (I got to drive that car, I would give my MR2 for one for sure!). Couple of other rare engines as well. 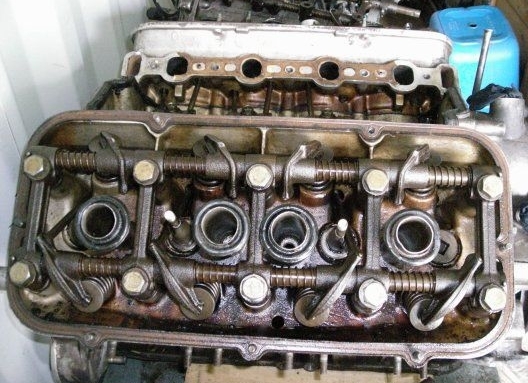 Had a collection of unobtainium parts from TRD as well, like a roller cam and rockers for a 20/22R and a head for an 18R block with 16 valves (never used it as no one had pistons for it), and a 4AGE head. The head was a reengineered casting with reshaped ports. Another piece that just sat on the shelf until I was pretty much forced to sell it all. Thanks for dredging up those images from the rusty files in my brain! I actually thought you were going to bring up the 'T" engines with that lit'lphant thing. sirdeuce wrote: Oh man! Been a long time since I saw one of those. I had a small collection of Toyota engines that I thought were cool a while back. I had one of those engines sitting in line with a bunch of other rare engines. 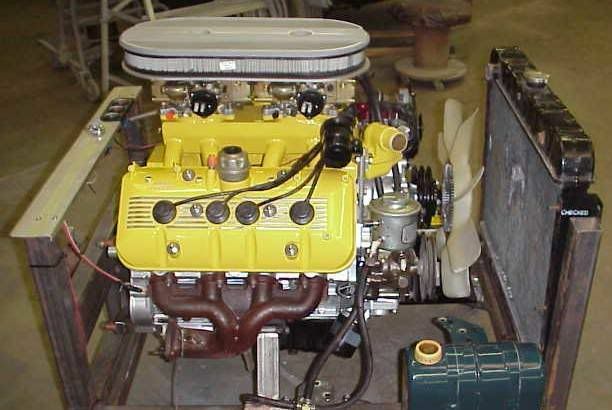 Here are a few of the other engines I scooped up an 18RB(see if you can find that one), It was an 18R with twin 1bbl solex carbs. Along with that was a line up including a 3M from a 2000GT, 18RG E and U, 2TG, 3TGTEU, 4TGTEU( the 3 and 4 T engines were turbo and fuel injected with 2 spark plugs per cylinder). 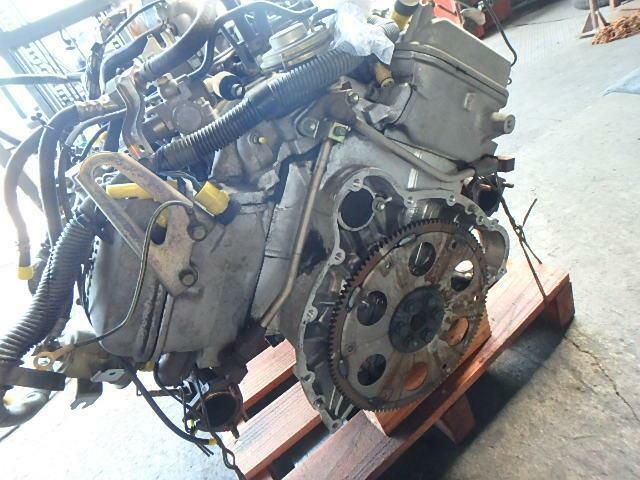 A little .8l opposed, air cooled 2 banger 'U' series engine I took out of a wrecked Sports 800 (I got to drive that car, I would give my MR2 for one for sure!). Couple of other rare engines as well. 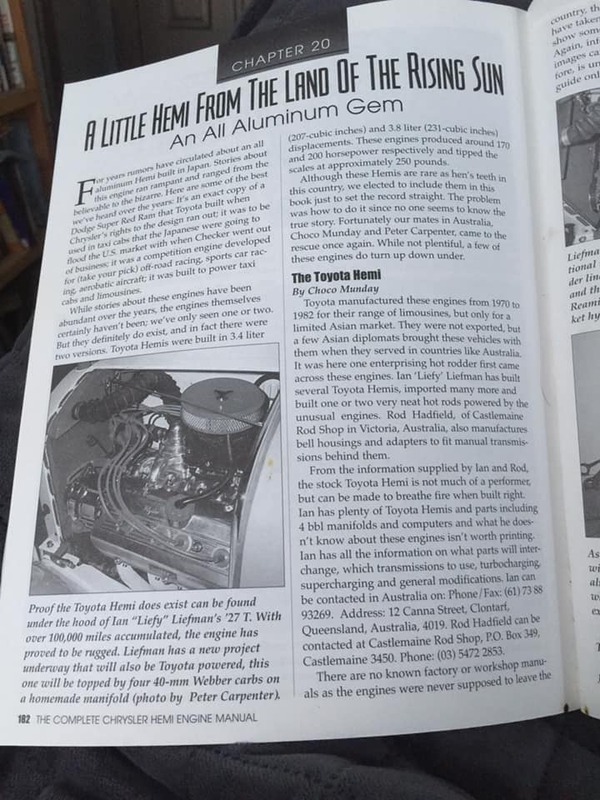 Had a collection of unobtainium parts from TRD as well, like a roller cam and rockers for a 20/22R and a head for an 18R block with 16 valves (never used it as no one had pistons for it), and a 4AGE head. 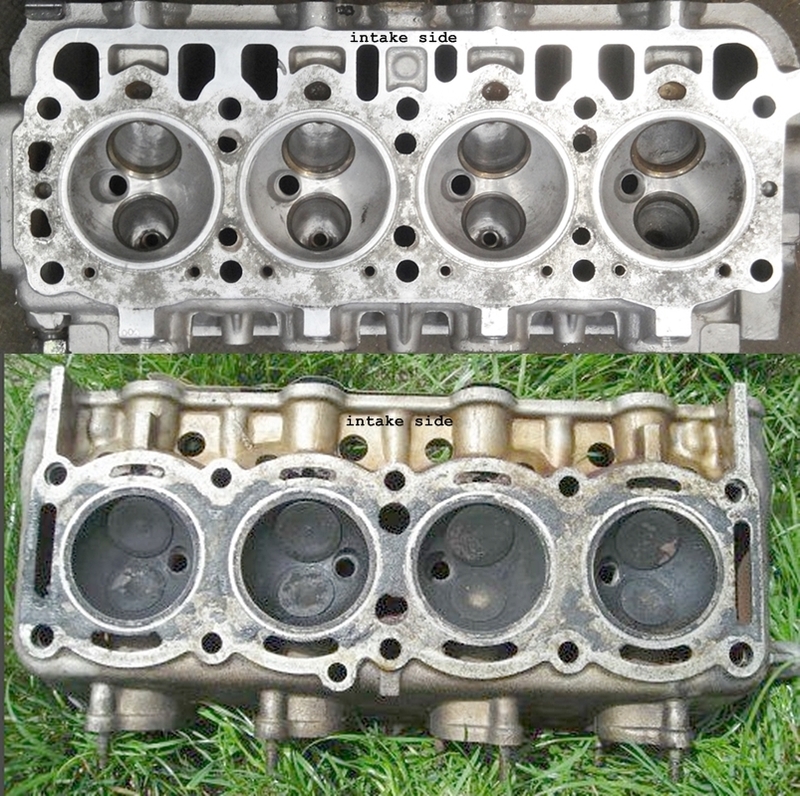 The head was a reengineered casting with reshaped ports. Another piece that just sat on the shelf until I was pretty much forced to sell it all. Thanks for dredging up those images from the rusty files in my brain! sirdeuce wrote: I actually thought you were going to bring up the 'T" engines with that lit'lphant thing. 'All Engine Distributing' in Fresno CA. They had so many cool JDM engines! I'd go in just to see what he had, and occasionally I'd take one or two home. 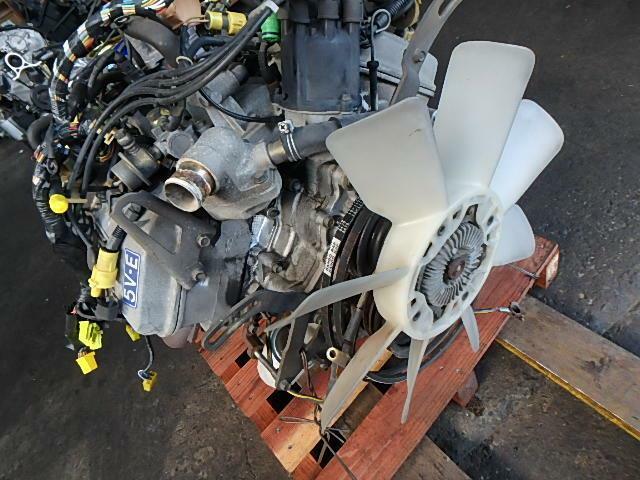 I got 12k for all the engines and parts I had. That was back in '06.